Are you tired of wearing jackets that aren't completely waterproof? How about jackets that rip and tear if you look at them the wrong way? We get it! We are sick of it too! That's why we designed the Indestructible Tactical Jacket. 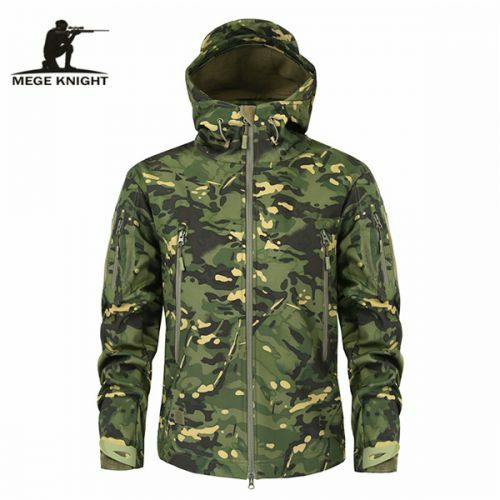 This jacket is tough and made to withstand all sorts of weather. 100% Weather-Proof: Our jacket is made of top-notch military-grade materials. It built to withstand all types of weather conditions. You'll love the breathable, yet 100% waterproof fabric. Our jacket comforts and protects you. Versatile and Functional: You're going to love this....the hood of our jacket is collapsible and transforms into a high-standing collar. You can customize it however you want. During warmer weather, unzip the underarm zipper to increase the ventilation around your body. The central-zipper works both ways and allows you easier and quicker access to your inner pockets. Multiple Pockets: Each pocket on our jacket is strategically placed to provide you with the best ergonomics. There are even hidden pockets for personal storage items. You'll love the high-quality stitching of the pockets and know that they will never tear no matter what the circumstances may be. Stylish: Just because it's tough doesn't mean it can't look trendy! You can wear this tactical jacket as a piece of your every-day wardrobe. We offer several color and pattern samples to pick from. And get this...the Velcro arm patch lets you customize your jacket! We recommend purchasing one size larger than your normal size to ensure the best fit.